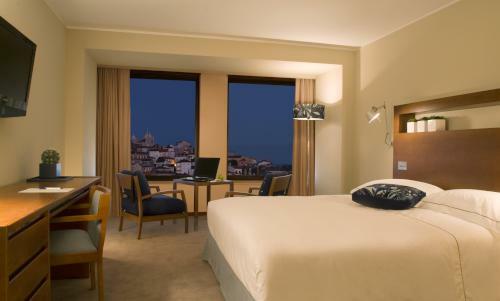 The four-star Tivoli Coimbra Hotel is a popular choice for visitors in search of comfort and a touch of luxury during their time in Coimbra, Portugal. 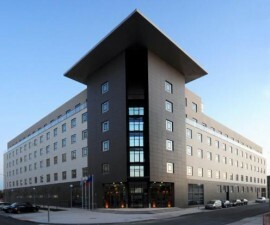 It offers all the benefits of a modern hotel with the added benefits of proximity to the ancient centre of this historic city. 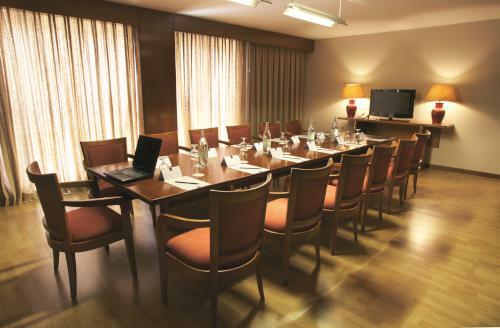 Laid out over five floors and serviced with a lift, the Tivoli Coimbra Hotel comprises 100 rooms. 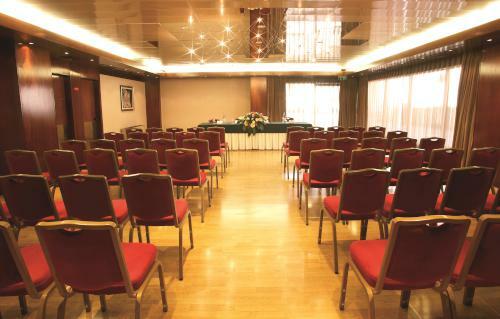 These include two classic singles, 63 classic twins, 11 classic doubles, 4 classic suites, 2 superior twins, 17 superior doubles and one presidential suite for those most special of occasions. 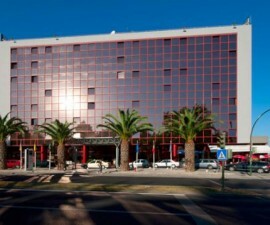 Rooms start at a generous 25m2 and are equipped with individually controlled air conditioning, LCD TV with satellite programming, direct dial telephone, Wi-Fi, safe, mini bar, work desk, hair dryer and fully equipped en-suite bathroom with complimentary Tivoli Hotels and Resorts toiletries. Adjoining rooms can be booked on request, making this a popular choice with families and small groups. For a taste of something special, opt for one of the superior rooms, a junior suite or, to really push the boat out, the grand Presidential Suite, which occupies an area of 65m2 on the top floor of the hotel. 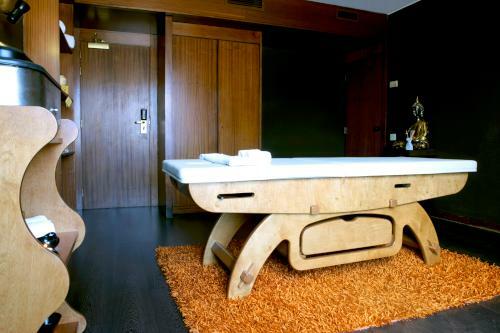 Expect to find all the facilities of the standard rooms plus a luxurious natural stone bathroom with rain-effect shower, espresso coffee machine, safe with space for a laptop and electric blinds. 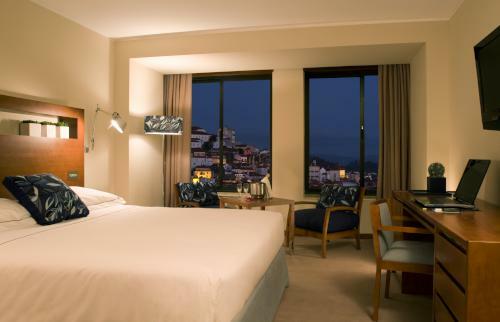 The décor is modern and elegant, oozing style and opulence to match the Coimbra cityscape below. 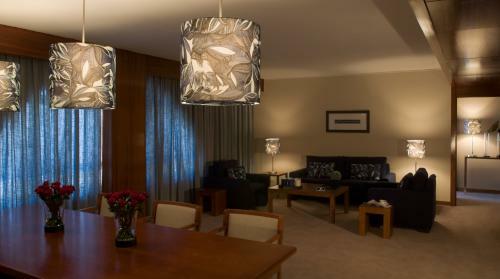 The Presidential Suite includes a living room with dining area for added space, and can be linked with interconnecting rooms to further enhance its generous size. 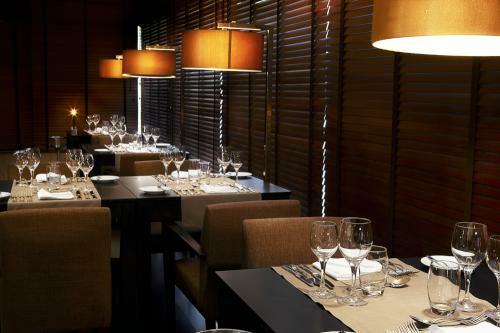 Food in Portugal is a pleasure for the palate and the bar and restaurant at the Tivoli Coimbra Hotel makes the perfect place to savour some of the most exciting gastronomic flavours. Take some time out to enjoy a light snack, coffee or exotic cocktail against the backdrop of one of Portugal’s most beguiling cities. 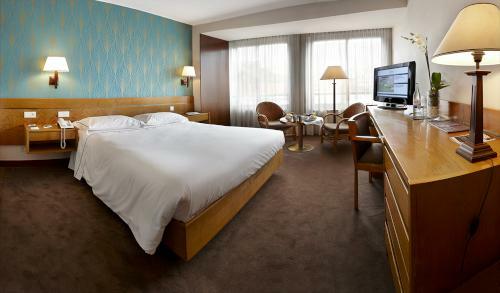 If you would prefer to eat and drink in the comfort of your own room, in-room dining is offered throughout the day. 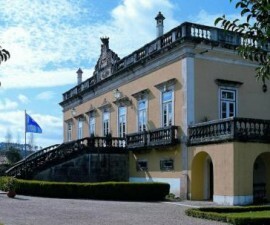 There is much to see in Coimbra and the hotel is well positioned for exploring the ancient city streets. 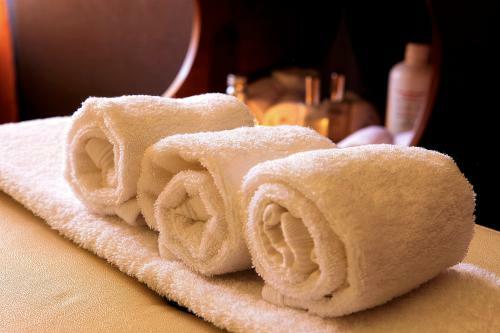 When you return after a long day’s sightseeing, simply relax with a drink or head for the hotel’s wellness room for a soothing massage to rejuvenate those tired limbs.